Installing new siding is a very common home improvement project, but many homeowners face the challenge of finding the right siding material for their home. LP® SmartSide® Trim & Siding is an increasingly popular choice because of the many benefits it offers. Arrow Renovation installs LP® SmartSide® Trim & Siding in Kansas and Missouri, and we can give you the perfect upgrade for your home. Our experienced professionals will help you find the perfect style for the look you want to achieve and provide you with an expert installation that will last for years to come. If you want to learn more about the benefits of LP® SmartSide® Trim & Siding, call us today at 1-855-251-7315 or contact us online. We offer free estimates on all our work in Leawood, Prairie Village, Lansing and the nearby areas. LP’s proprietary SmartGuard® manufacturing process is designed to create highly durable engineered wood products. Every strand of wood that goes into LP SmartSide Trim & Siding is treated with an advanced formula of adhesive resins, water-resistant waxes and zinc borate, after which a water-resistant, resin-saturated overlay is bonded to the product. The result, four components of protection against water damage, termites and fungal decay. We offer a complete line of high-performance trim and siding products to complement almost any building style. All LP SmartSide products are manufactured with our innovative four-component SmartGuard® method, guaranteeing strength against harsh weather and resistance against fungal decay and termites. LP SmartSide Lap Siding is the ideal way to bring a custom look to any home and boost curb appeal. 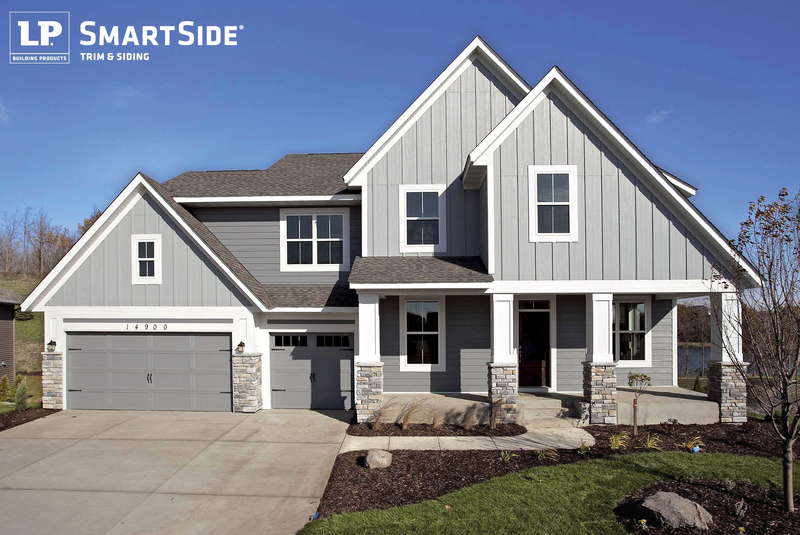 With a wide variety of styles and colors available, LP SmartSide has the perfect siding to complement your home. If you're interested in improving your home's siding, LP® SmartSide® Trim & Siding from Arrow Renovation is the perfect solution. As your local siding installation experts, we will work with you to find the perfect style and design for your home and give you a quality installation. Call us today to get started with a free estimate in Leawood, Prairie Village, Lansing, Less Summit, Olathe, Overland Park, Shawnee, Lenexa, Raymore, Kansas City and throughout the surrounding areas.